As if the Galaxy Note 7 recall wasn't enough, Samsung is now recalling 2.8 million washing machines that also put consumers in danger. They're not prone to flooding or small malfunctions, as one might assume might happen from a seemingly-innocent washing machine, but can actually land you in the hospital with legitimate injuries. "Samsung has received 733 reports of washing machines experiencing excessive vibration or the top detaching from the washing machine chassis," the Consumer Product Safety Commission said in its official recall notice. "There are nine related reports of injuries, including a broken jaw, injured shoulder, and other impact-or fall-related injuries" (emphasis ours). 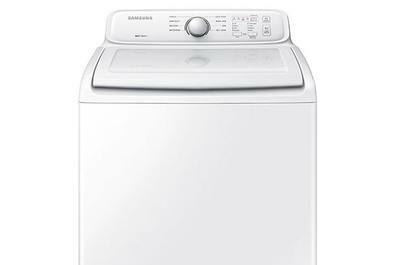 The CPSC said owners of the Samsung machines, which were sold by Best Buy, Lowes, The Home Depot and Sears between March 2011 and November 2016, can request a free in-home repair, a rebate toward another washing machine or a full refund. The refund only applies to customers who purchased the machine within the last 30 days, however. If that's not the case, you'll have to go for the repair or the swap. If you opt for a repair, someone will come and reinforce the top of the washing machine. There are 34 models included in the recall, so be sure to hit the source if you own a Samsung washing machine and make sure yours isn't on the list.